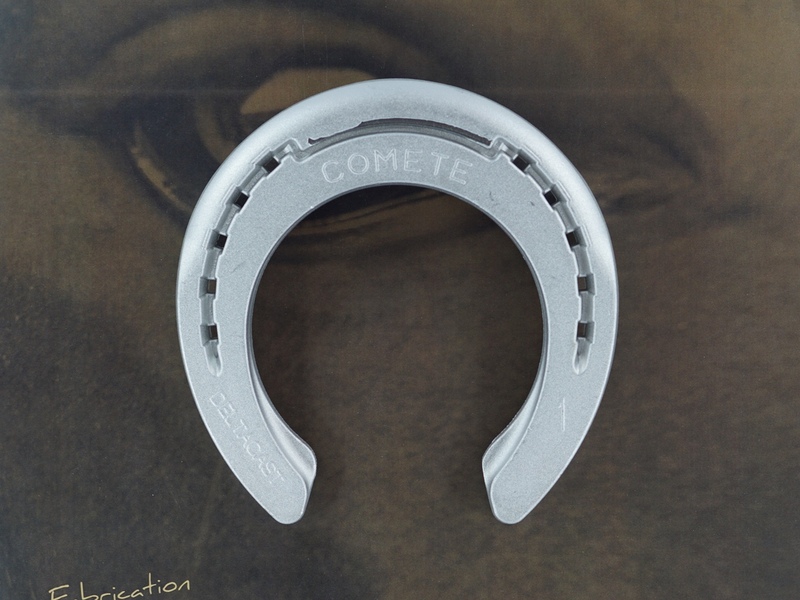 The COMETE aluminum horseshoe is designed to reduce the insertion of the toe into the ground and facilitate the penetration of the heels in a soft ground, thanks to the thinned branches. The enlarged heel area in contact with the foot increases comfort in the posterior area. A large rolling facilitates the rotation fowards the foot. Three clips. Anti-skid face foot. Hard steel insert embedded in the toe increase wear resistance.